I hope you, like us, are looking forward to gathering tonight observing bonfires and fireworks. My family are attending a local show at a nearby fire station, firstly for safety, secondly, so we can bolt easily if the fireworks are too loud for our youngest. I wonder if you will be burning an effigy, or a Guy, on the fire? As we are in a season of considering what a scapegoat is, we shall be meeting this Sunday to discuss this favourite of scapegoats. Guy Fawkes was a very small part of the gunpowder plot, part of a Jesuit uprising to assasinate the Protestant King James I of England (VI of Scotland) on the state opening of Parliament November 5 1605. Catholics had been getting a very raw deal in England since Henry VIII had created the Church of England and his daughter Elisabeth I had made it law for all public and religious officers to swear allegiance to the monarch as head of church and state, pushing Catholics further to the margins. The throne fell to the Protestant James I, Elisabeth’s second cousin twice removed, only as her first cousin, the Catholic Mary Queen of Scots was executed for treason. With hopes of expanded freedoms for catholics diminishing with James’ rule, a number of plots to depose protestant “tyrants” across Europe were springing up. 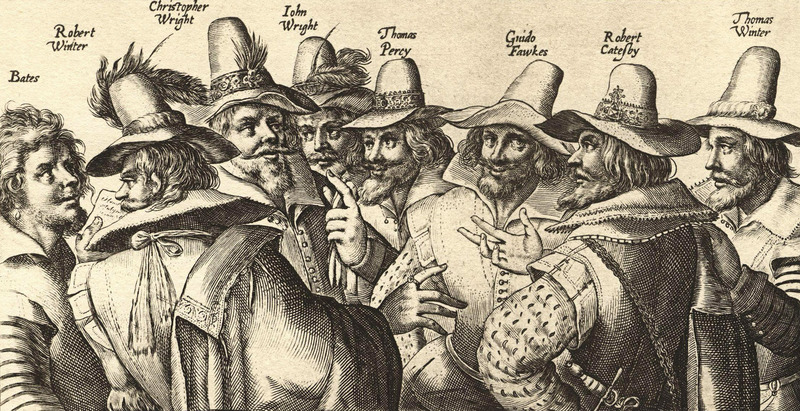 The Gunpowder Plot was masterminded by three men: Robert Catesby, Thomas Wintour, and John Wright, with two others Thomas Percy and Fawkes added after the masterminders had tried and failed to win the support of King Phillip III of Spain and Pope Clement VIII to engage in military action against England. The plot, obviously failed. 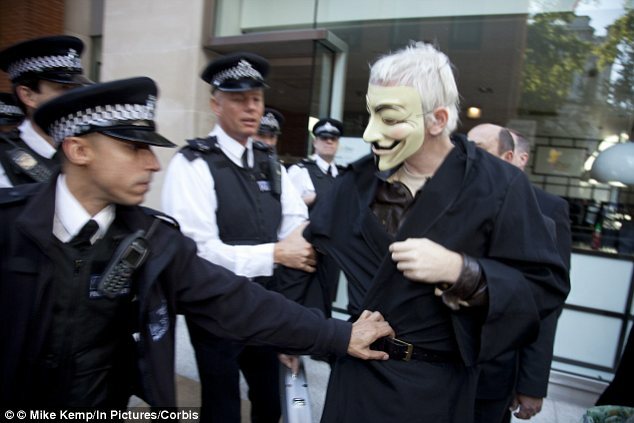 Fawkes, whose role it was to guard the gunpowder once in position, was arrested after intercepted correspondence was shown to the King only 5 days prior. A relatively small cog in the conspiracy, Fawkes’ notoriety results from his discovery on scene and his confession under torture which indirectly led to the deaths of the other conspirators. So the “Observance of November 5th Act 1605” was passed the following January and we have been punishing Fawkes ever since. He is the scapegoat for the plot and the other actors in the story: his co-conspirators, the tyrannical Protestant establishment, the peacible Catholics who refused to engage in violent uprising, get forgotten. And what does his effigy mean to us today? Interestingly, as well as being forever punished on our bonfires, thanks to Alan Moore’s “V for Vendetta” Fawkes image has now become associated with defiant resistance to oppressive regimes. How should we see him? And how does his actions, and the context, fit with our belief in a radical Christ? Well, come along tomorrow and discuss! (Aneurin Bevan Pub – 7pm). 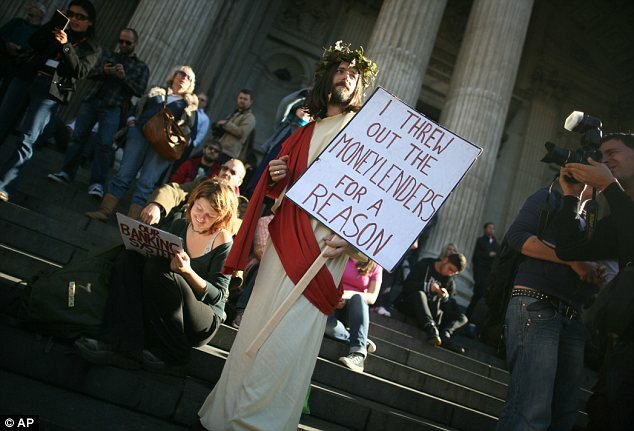 Protester on the steps of St Pauls at Occupy London Protest: does he have a point?